If you’ve never purchased a shed before, choosing the optimal size, design, and material for your requirements can be a little overwhelming – there are almost innumerable options on the market. Picking a size is a great place to start. Which is the most popular shed size? 8x6 sheds are amongst our most popular size of shed. Big enough to provide ample storage space for your outdoor furniture, lawnmower and garden tools, yet not so large as to dwarf more modest gardens, they provide the best of both worlds. 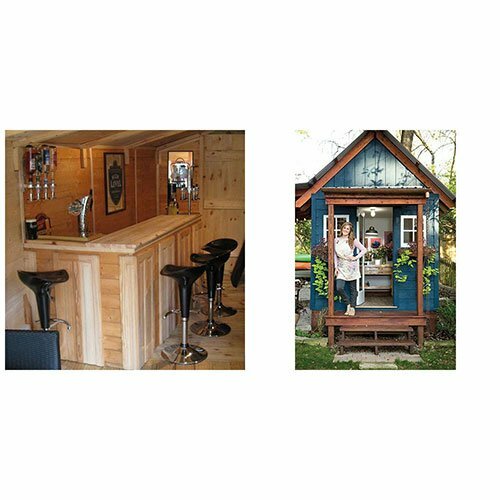 Man Cave Versus She Shed: Which is the Superior Shed? With the rise of the ‘man cave’ and the ‘she shed’, the battle of the sexes has now moved into the back garden. These ‘homes within a home’ offer us the best of both worlds: a chance to relive our days of being young, free and single, whilst remaining within the happy confines of marital bliss. Much like men and women themselves, man caves and she sheds have much in common, yet also subtle differences, which give them both their own distinct identities. 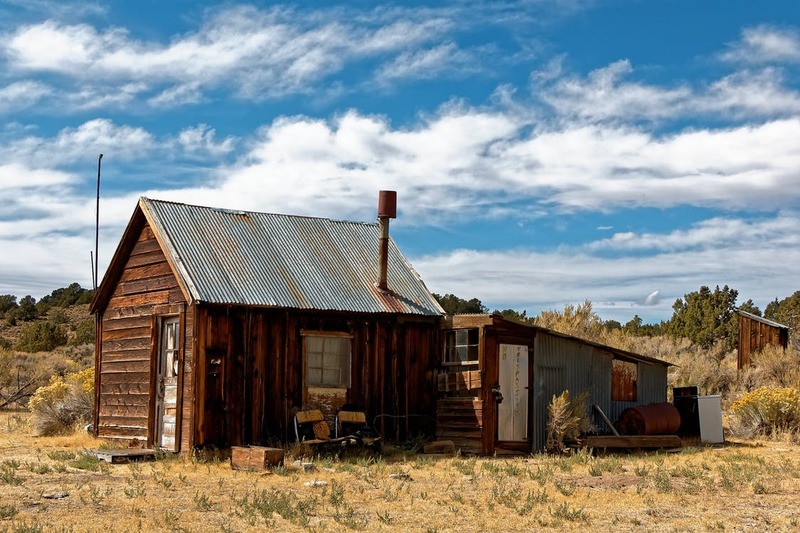 But how marked are these contrasts and which can lay claim to being the ultimate shed? With the Christmas festivities over for another year but the joys of spring not yet in sight, the second half of winter can sometimes feel like a depressing time. The last thing you need, particularly if suffering from those ‘winter blues’, is to have your shed ransacked. Unfortunately, with it potentially full of Christmas goodies, and with the nights not yet having noticeably shortened, January and February are the months that it is most at risk. But don’t let your latest power tools or the kids’ new bikes be carried off without a fight. Now is the time to take our advice and beef up your shed security. The New Year is here. Millions of people around the country have made the famous resolution: to finally get in shape. The excessive consumption of mince pies and wine over the festive period has not helped anybody’s weight loss goals and gym owners will be rubbing their hands together, awaiting a massive influx of new memberships. If, however, you’re like me, the thought of being in an overcrowded gym, waiting 15 minutes just to use one piece of equipment, fills you with horror. There is a more agreeable solution. The home gym. Or, in this case, the ‘shed-gym’. 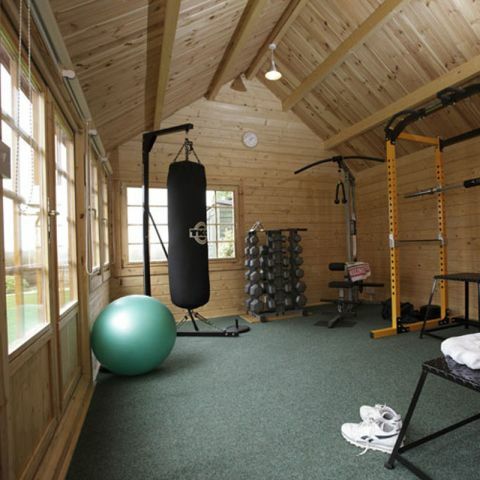 Why would I go to the effort of creating a gym in my shed? How Do I Hide My Garden Shed? Nothing is as beautiful or astonishing as nature, and the garden is the perfect place to enjoy its delights on a daily basis. However, an attractive garden requires a lot of practical effort and the tools to keep it in tip top shape. Therefore, you will more than likely have a shed stuck somewhere in your garden. 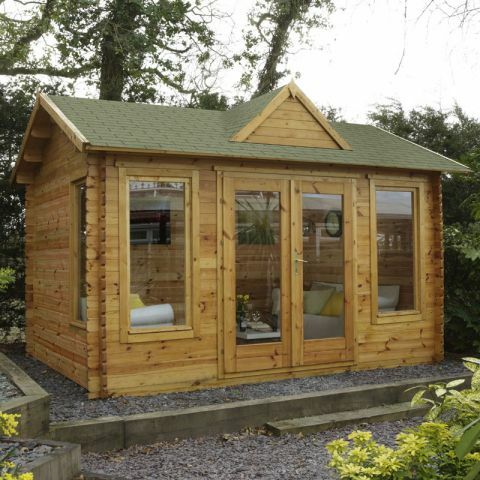 Even if a shed is shiny and new, we don't want it to be the main feature of the garden. So, we need to hide it somehow. Here are four key methods you can use to hide your shed: concealment, distraction, improvement, and replacement. 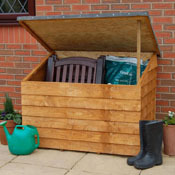 Choosing the right garden storage solution can be a task in itself. 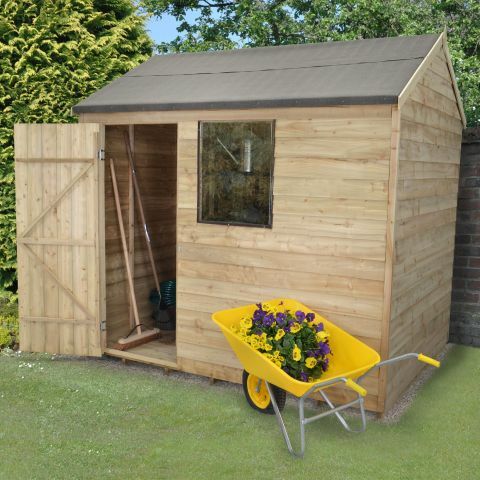 If you've out grown your humble garden shed, you might want to consider a smaller garden storage chest or tool store? These are easily secured and provide the storage space you need. Here are our top 5 favourites to help you decide which is best for you. When thinking about buying garden sheds, there are several things which can affect security aside from your choice of shed. You may think that by ordering a security shed, you don’t need to worry about the safety of whatever is inside. Yes, a ‘security shed’ with no windows is one of the more secure options, but there is a lot more to consider. Garden sheds can contain valuable assets and criminals are very aware of this. 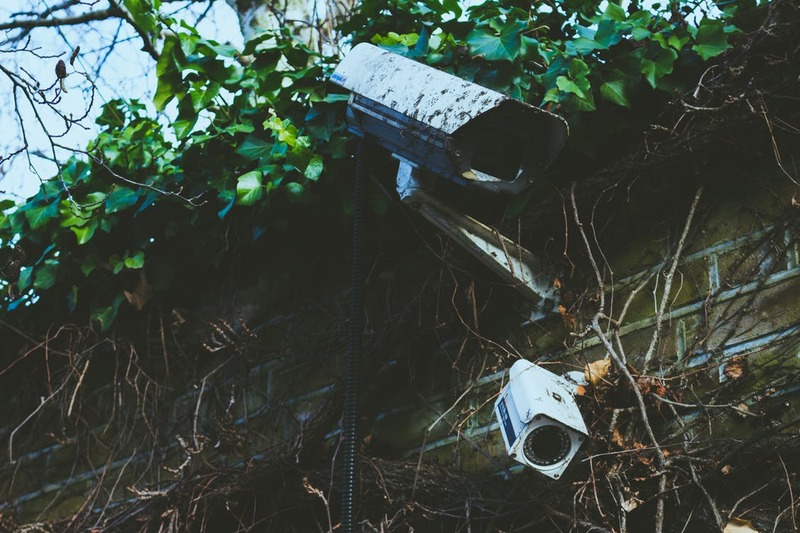 Whether your shed is used as a bike shed, to store garden furniture or a lawn mower, you should look into keeping your possessions secure and out of sight. 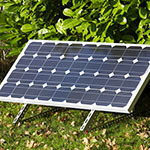 Not only will using one of our solar power hubs be eco-friendly, but it is also a lot easier and cheaper way of getting electricity to your shed or garden building. We now have several solar power hub stations so that you can easily supply electricity to your garden building, without having to pay for an electrician to lay a power line. These systems have the advantage of providing bill-free electricity without impacting the environment. Why would I want to maintain my shed? Surely they just look after themselves? The humble garden shed – highly functional, Tardis-like in its storage abilities, holder of all your clutter and a great retreat for Dad. We invest a lot of money in our garden sheds and just expect them to last forever, often we neglect their basic maintenance. 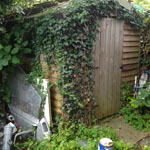 This is a false economy, maintaining your shed take little effort or time but could result in your shed lasting 20 years or more! So it makes perfect sense to keep your shed in good order.